k-state.edu/ID/KStateNVivoDownload. Access to this site requires an active eID to log in. The site license is input into the Mac version software through the NVivo tab > Licensing > Activate. The same license key applies to both the Windows and Mac versions. 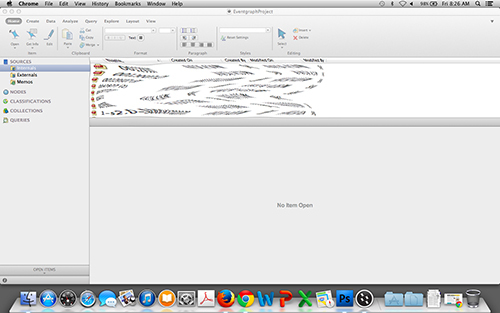 QSR International has made available short tutorials for the NVivo for Mac. The K-State site license applies to current faculty, staff, and graduate students at K-State. The license enables each member of the above groups to download two versions of the software, generally understood to be on a main work computer and a laptop. Further, users may download and install any combination of NVivo 10: two Windows versions, two Mac versions, or a Windows version and a Mac version of the software.